FFA - Costco needs to hear from more consumers regarding their decision to pull the book America: Imagine the World Without Her and the weeks they say it will take to restock it. The email for this article was deactivated after Costco started selling the book again. 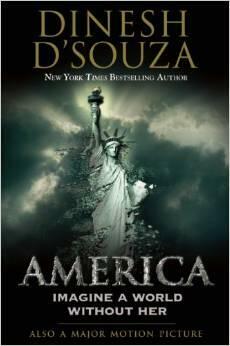 Costco is claiming they will restock Dinesh D'Souza’s book America: Imagine the World Without Her after they pulled it off their shelves for what appears to be a politically motivated decision. Costco’s reason for pulling the book is dubious especially given the timeline of “weeks” their CFO says it will take to restock it. How could any American company censor this super patriotic book which is now the Amazon.com Number One Best Seller? Costco's reason for pulling his book from store shelves due to slow sales is "very bizarre behavior." "The book came out about three weeks ago. About a week ago it surpassed Hillary's book on Amazon. It's actually No. 1 on Amazon's best sellers' list," D'Souza explained. "So, the sales of the book have been strong." “The book is a companion for the film. And so, right on the eve of that, Costco executives issue the edict: pull every book from the Costco shelves." "This is absolutely unprecedented, and the idea that it's based upon low sales is preposterous. Costco features hundreds of books; they even have book signings for people whose books are No. 10,000, No. 85,000 on the Amazon list. This is a clearly a political decision that they made. I think it's because of their alliance with the Obama administration and now they're feeling the heat, so they're trying to figure out how to wiggle out of it." Dineshdsouza.com posted Costco’s statement which alleges that the removal of D’Souza's book from store shelves was based on lagging sales. Amazon.com reports that D'Souza’s book is their Number One Bestseller. Fox’s The Kelly File reported on her July 8, 2014 program that after contacting Costco the CFO of Costco is now confirming that they will restock Dinesh D’souza’s new book America in the next few weeks. Are restocking the book because the release of the movie will increase sales. Could not provide a specific date when the books would be restocked. Costco’s statement that America: Imagine the World Without Her will be returned to shelves in “weeks” seems excessive and dubious. If Costco wants to take advantage of the film’s release why is it going to take “weeks” to restock the book? Certainly they knew about the movie before they pulled the books. Florida Family Association has prepared an email for you to send to Costco officials to express concern regarding their decision.